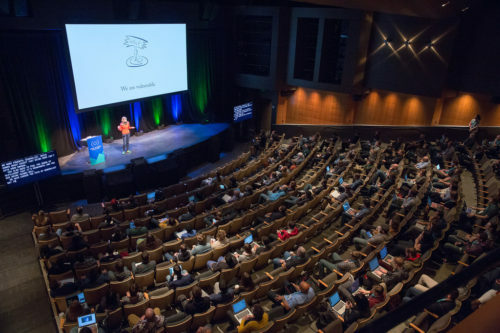 View Source is an intimate, single-track conference for web developers, now in its second year. View Source 2016 takes place in Berlin, Germany, September 12-14, beginning with Ignite lightning talks on Monday evening, followed by two full days of great presenters, curated conversations, and sociable evenings. Tickets are still on sale. Here’s a quick look at our lineup of main stage speakers — 16 great reasons to go! Discounted tickets are still available if you register now. (Note: this link applies the MOZHACKS discount. Bring a friend!). We’d love to meet you there. Rachel Andrew – web developer, speaker and author. Co-founder of the really little CMS Perch. View Source talk: I’m offline, cool! What now? And that’s just a rundown of the main stage speakers for Tuesday and Wednesday. The View Source experience begins Monday evening with a collection of Ignite talks, and the schedule continues with workshops, demos, discussion areas, and evening social events through Wednesday. Join us! Rest assured that all the View Source speaker talks will be recorded and made available after the event. We will let you know where to find them as they are released. Want to have a look at last year’s conference talks? 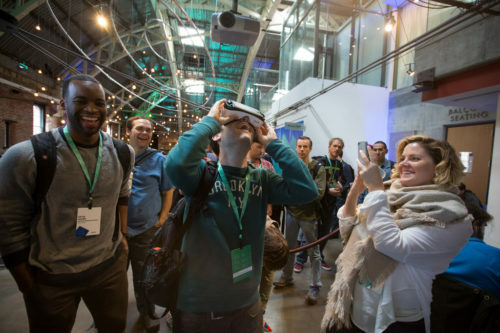 Check out the View Source 2015 channel on Air Mozilla, Mozilla’s video platform. Got questions, comments, concerns? Please tweet to @viewsourceconf and we will respond.